Mindfulness is the idea that your mind is the source for the creation of awareness. Your mind only explains what you already know. 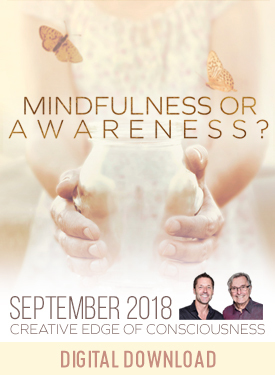 Learn about this and more in this September 2018 Telecall from the Creative Edge of Consciousness! Mindfulness is the way you become involved with things. Awareness is the way you become engaged with something. Engagement is the place you can interact - you have choice with engagement - you don't have choice with involvement.